background of federal criminal justice policy making. She then moves to the three branches of the federal government involved in the process. In addition, a chapter on non-decision making, where policy makers do not consider certain alternative policies, is included. Each chapter begins with a careful introduction by the editor and concludes with recommendations for further reading, including important electronic resources for further consideration. The selections in this work include academic and government publications and speeches that help to shed light on this important area of criminal justice studies. 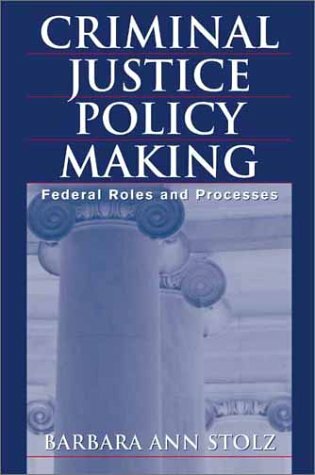 This unique volume provides the tools for analyzing how criminal justice policy is made. Public Law 100-690-Nov. 18, 1988 "The Anti-Drug Abuse Act of 1988"